“Star Wars” fans in Malaysia will be feeling the Force a little earlier this year as “Star Wars” Day Malaysia 2016 (#SWDM2016) is set to take place this weekend. 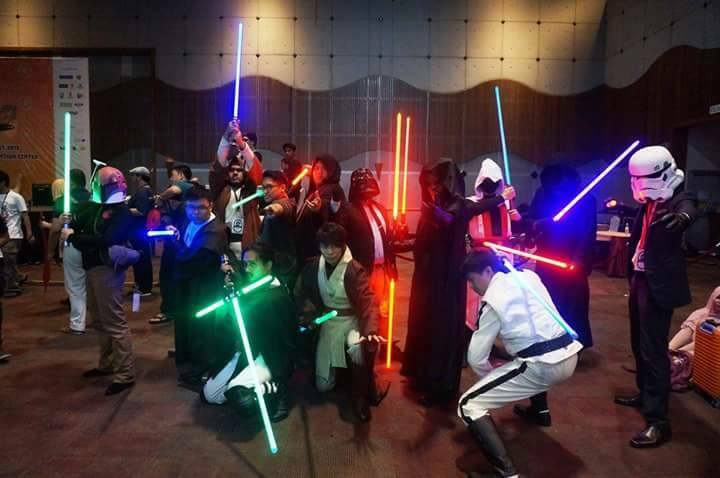 In celebration of the upcoming May the Fourth – World “Star Wars” Day, Star Wars Malaysia Fan Club (SWMFC) collaborates with various “Star Wars” fan clubs and groups collectively known as the Star Wars Malaysia Alliance to organise the event. “The Star Wars fandom in Malaysia is one of the most passionate in the world,” said SWMFC President, Syed Rafie. #SWDM2016 will kick off with an opening ceremony at 10am this Saturday and will close at 6pm on Sunday. The upcoming event, which promises to be an even bigger event following the success of last year’s celebration in Malaysia, will revel in the afterglow of “Star Wars Episode VII : The Force Awakens”. Fans will also have Rendezvous with “Rogue One: A Star Wars Story” to look forward to. 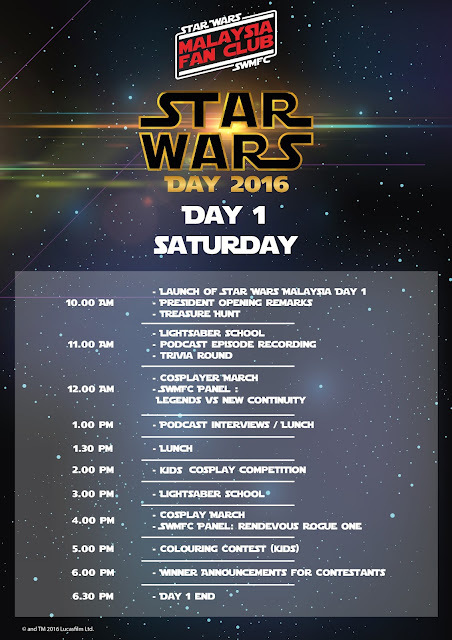 One of the highlights this year will be the massive food truck bonanza, held for the first time for “Star Wars” Day Malaysia. Apart from that, other activities include appearances by “Star Wars” characters, including a life-sized BB-8, lightsaber performances, local artists such as Alan Quah (Marvel, DC) and Jon Tham, and mini treasure hunts as well as trivia competitions. Meanwhile, a charity flea market will be selling “Star Wars” memorabilia. Proceeds will be donated by SWMFC to Rumah Solehah, House of Love, Yayasan Chow Kit and Klang Utara Children’s Home. 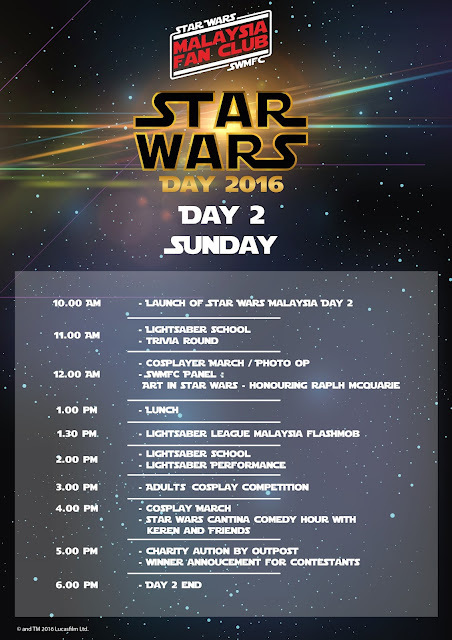 “Star Wars” Day Malaysia 2016 is happening at The School, Jaya One, Petaling Jaya from 30 April to 1 May.